Eastleigh manager Chris Todd labelled his side's defending "shocking" after they lost 3-2 at Kidderminster. 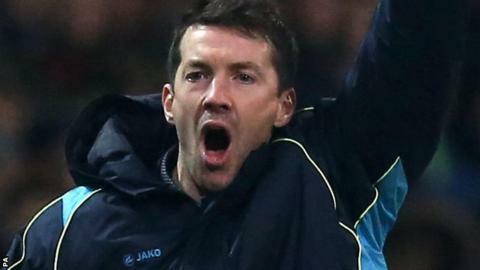 The Spitfires, who took Championship Bolton to an FA Cup third-round replay, are without a win in nine games. And Tuesday's National League defeat by bottom-placed Kidderminster saw Eastleigh concede three goals for the second match in succession. "It's not good enough," Todd told BBC Radio Solent. "Defensively, we were very, very poor and have to be better." Eastleigh gave a debut to striker Matt Tubbs, who had earlier agreed a loan move from Portsmouth until the end of the season. He did not get on the scoresheet and two goals from strike partner James Constable could not salvage a draw for Todd's side. "I can't keep saying it, actions speak louder than words and we're deflated," the manager added. "We have to pick ourselves up with the games we have left this season. We can't keep going out in games on a whimper."